I hope you and your family are having a wonderful year and I wish the best as the holiday approaches and into the new year. As has become tradition, here is my year end real estate summary for this year as well as my outlook for this upcoming year. The holidays are a time to reflect back and give thanks for all the blessings that we have in our lives. As I look back on my last 10+ years in the business, I am grateful for your support as friends, family and referrals along the way. 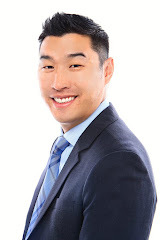 I spend very little on advertising and I am a firm believer that by providing superior service, acting with utmost integrity as well as being an expert in the industry, that I can exceed the expectations of you as my customers and provide utmost confidence that I will do the same for you referrals. Again, I personally thank each and everyone of you for your support over the years. 2013 has been a roller coaster ride for the Bay Area Real Estate market. The market boom from last year continued through July of this year. Bernake made a statement in June hinting at a tapering of the quantitative easing program. In reaction, interest rates jumped about a percent which coincided with the seasonal increases in summer inventory. Again there is the tale of two markets; "Prime Locations" (Strong Schools/Convenient Locations) continued to have low inventory and multiple offers. Multiple offers were almost halved during this period of time. Some Buyers were being priced out, but this market continued to be strong in Prime Locations. Markets outside of Prime Locations took a hit from July until September. Prices stabilized and due to competition, prices leveled or reduced, days on the market increased and homes struggled on the market. There were many listings cancelled as frustrated Seller's were shocked to find that they were not able to attain those lofty over asking prices that have been happening for over a year. However from October and continuing onto December, the rates have settled from their peaks about half a percent lower. Another natural seasonal phenomenon is the lower inventory in the fall and winter months. This coupled with the slight decrease in rates, multiple offers were back and but still prices were mostly level with some increases. The latest job report this Friday showed that we added 203,000 jobs in November, bringing the unemployment rate down to 7%. This is the 4th straight month of stronger job growth, which indicates that our economy continues to improve. Earlier in the year, the Fed had called 7% unemployment as a key milestone for tapering of quantitative easing. Although of late they have backed off the hard number itself, there will be a Federal Reserve meeting next week that will be key. If quantitative easing is tapered, mortgage interest rates will no longer be artificially held down and will rise as they did in June. Even if this doesn't happen in December, most analysts project this will likely happen in the March/April time frame next year. What this means to those of you buying or refinancing is that rates will be going up, which will affect how much home you can afford or higher monthly payments. Just as we saw this summer as a pre-cursor, the tail of two markets will ensue. Prime Locations will continue to be competitive with less homes and multiple offers. This is marginally good news but going from 20 offers to 10 offers isn't going to change the fact that aggressive overbidding will be needed. Markets outside of Prime Locations will likely see leveling for a period of time making for a more balanced market. Homes outside of the Prime Locations will see leveling of prices once there is more inventory and possibly opportunities if demand slows and supply increases. There are also several other factors that will affect us in 2014. The first factor is that the technology industry continues produce more wealth for Silicon Valley workers. Vesting schedules for companies such as Google, Linkedin, Facebook and the recent Twitter IPO will continue to produce downpayments for these well qualified workers. Bay Area companies such as AirBnB, Square, Spotify, Dropbox, Uber, Pinterest, Box, Scribd, Flipboard and King.com are all possible IPO candidates in this improving economy. The second factor is how much of the cash overseas Buyers and institutional investors will be a part of this market next year. The third factor is that lending standards by the Consumer Financial Protection Bureau (CFPB) will be getting stricter for 2014, making it harder to qualify for a loan next year. All of these factors make it extremely difficult to predict how our local market will unfold next year. There is never a dull moment in the real estate industry. For those of you looking to re-finance, I would lock in a rate immediately if you can, literally today or tomorrow if possible. These rates will go up if not soon likely in Q1. For Sellers in Prime Locations, I would wait until after the holidays and the market will continue to be on your side. For Sellers in outside of Prime Locations you have likely seen your home prices soar to the over the peak times. I would take your gains and sell now given the likely leveling coming in the upcoming years. If you are in the market to buy, qualifying for a loan given rising interest rates and strict lending guidelines will be the first step to determine how much home you can afford. As always buying in Prime Locations will be an aggressive battle in which you must have at least 30% down payment (ideally more) and be ready to be to go aggressive. Locations outside of these Prime Locations there maybe some opportunities as the market levels out. We will have to see how factors such as the recovering economy, interest rates, IPO wealth, lending guidelines and cash buyers play contribute to the market next year. In closing, I thank you for your trust in me over the years and remembering me when real estate needs arise for you, your friends and family. It would not have been possible without your support to be able to have my best year ever, ranking in the top 5% of agents in Northern California without all of your support. Have a wonderful holiday season and remember to spend time with your family and I will see you all in the new year.